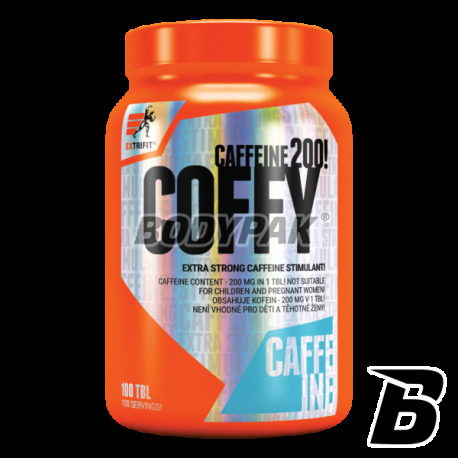 StimulantsExtrifit Coffy 200mg - 100 kaps. Clean "energy capsule" - for anyone who needs to mobilize for action. Purest caffeine in an easy dosage form. If you are looking motivation and stimulation to reach for their own training after her. Successful training is at your fingertips. All of us need sometimes a little "kick" before training. 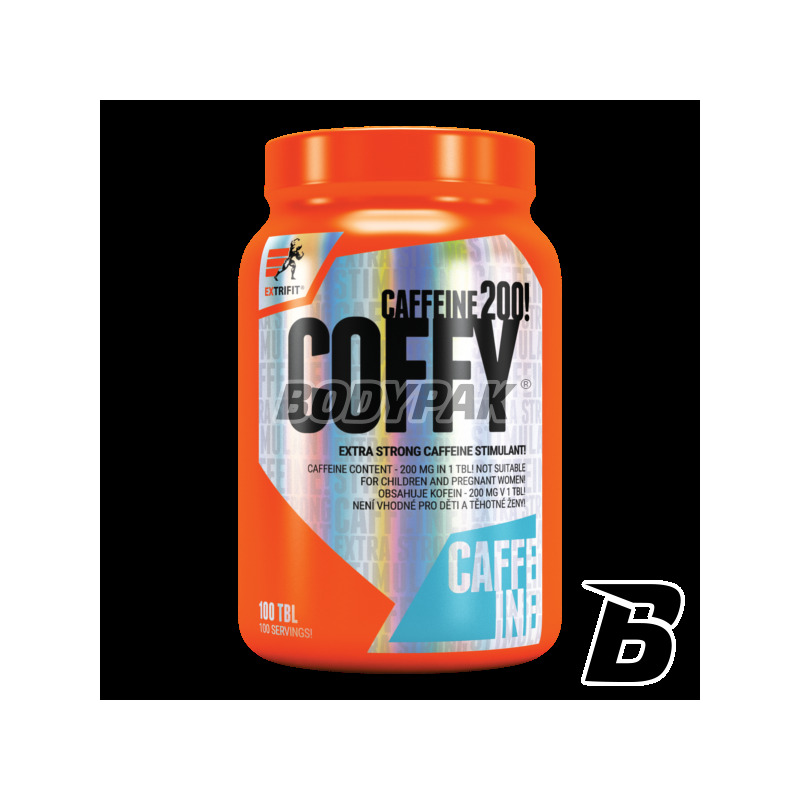 With Coffy Stimulant we provide your body in a simple and effective right amount of caffeine. With a simple dosage form of the supplement we guarantee that "no exaggeration" which is certainly important for people sensitive to various stimuli. The product is available in encapsulated form. Caffeine beyond the effect of stimulation regulates glucose metabolism and thus has an impact on the energy resources of our body. It is recommended to use in order to improve their exercise potential in various sports. If caffeine is only Extrifit Coffy Stimulant! Ingredients: Anhydrous caffeine, sorbitol, microcrystalline cellulose and magnesium stearate (anti-caking). Cena ok, stężenie kofeiny ok. generalnie jak potrzeba - można brać. Świetna kofeina w kapsułkach - stosuję w słabsze dni (doraźnie) sprawdza się lepiej niż mocna kawa.